Quantum computing studies theoretical computation systems (quantum computers) that make direct use of quantum-mechanical phenomena, such as superposition and entanglement, to perform operations on data. Quantum computers are different from digital electronic computers based on transistors. Whereas digital computers require data to be encoded into binary digits (bits), each of which is always in one of two definite states (0 or 1), quantum computation uses quantum bits (qubits), which can be in superpositions of states. A quantum Turing machine is a theoretical model of such a computer, and is also known as the universal quantum computer. Quantum computers share theoretical similarities with non-deterministic and probabilistic computers. The field of quantum computing was initiated by the work of Paul Benioff and Yuri Maninin 1980,Richard Feynman in 1982,and David Deutsch in 1985.A quantum computer with spins as quantum bits was also formulated for use as a quantum space–time in 1968. Google announced a breakthrough in the field of quantum computingWednesday. The company thinks it's found a quantum algorithm that solves problems 100 million times faster than conventional processes. If confirmed, this discovery could not only lead to iRobot-style artificial intelligence but also advance the US space program by light years. Back in 2013, Google and NASA went halvsies on a D-Wave X2 computing system. The D-Wave is supposedly the world's first functional quantum computer, though experts both within and without the company have never been able to conclusively prove that the machine actually taps into the quantum realm to produce its calculations. That is, until now. Google's announcement Wednesday centers on "quantum annealing", a technique that determines the global minimum for a given function when presented with a set of potential solutions. In English, it figures out the best (ie most efficient) overall course of action to complete a task when given a set number of options. Scientists have been working on quantum annealers for a while now, though the two primary techniques, "simulated annealing" and "quantum monte carlo" are both just simulated systems running on conventional hardware. 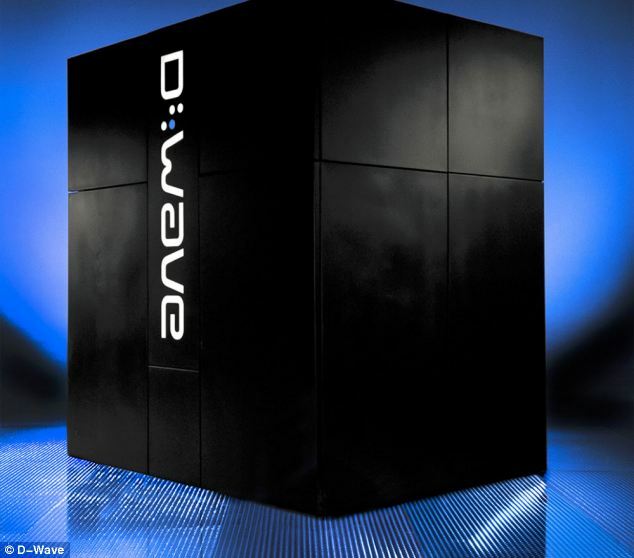 The D-Wave system, on the other hand, is hard-coded to run the quantum annealing algorithm on its quantum array. The company recently tested the new QA algorithm in a proof-of-concept trial against conventional systems running the simulated annealing and monte carlo methods. The results are more than impressive. As you can see from the graph above, Google's method beat out the other two quite handily, solving a function with 1000 binary variables up to 100 million times faster. Google qualified these results as "intriguing and very encouraging" in its announcement, though the company has a long way to go before this research is ready for the consumer market. But once it is, hoo boy, get ready for a technological revolution. With it, AI researchers may be able to develop smarter, more responsive computer learning systems, NASA could use it to simulate rocket launches (or entire space missions) -- heck even the mundane material sciences could get a boost from this technology.